Iain Gray MSP has welcomed the announcement that secondary school pupils in East Lothian will all have access to CPR training before they leave school. The decision follows a nationwide campaign by the British Heart Foundation (BHF) Scotland charity encouraging councils across Scotland to make the life-saving commitment. “I’m really pleased that East Lothian is among the local authorities to commit to training all secondary pupils in CPR. This move will bring about significant educational and health benefits for the pupils and their local communities. County MSP Iain Gray joined Tom Thorburn and Barrie Forrest from the RAGES campaign group to meet the Cabinet Secretary for Transport, Michael Matheson, about rail issues in East Lothian. The meeting was ostensibly to discuss progress on the delivery of new stations at East Linton and Reston, but Mr Gray took the opportunity to highlight ongoing deep concerns about the failure of Abellio to deliver the level of service required by rail users in East Lothian. Mr Gray told Mr Matheson of constituent complaints about a range of problems, including cancelled and overcrowded trains, passengers left on the platform, and ticket machines not working. “This meeting was arranged some time ago, primarily to discuss progress on East Linton station. However, with no let up in the difficulties experienced by my constituents on services on the North Berwick Line, I had promised many I would raise their problems directly with Mr Matheson, and I did exactly that. “The various problems, including cancelled, delayed and overcrowded services, have been regular occurrences for County commuters throughout Abellio’s tenure as ScotRail franchisee, especially on the North Berwick line, but recently they have been happening literally every day. “Mr Matheson acknowledged and agreed that the service has been unacceptable. However, he did also go through the usual list of excuses, which many commuters are familiar with from their complaints to ScotRail, i.e. late delivery of new trains, crew shortages, and problems with training for new trains. “He did also say that he has initiated a “forensic” investigation into how training for new trains could have created staffing problems given the company knew that this training would be necessary. He also referred to the “Improvement Notice” he has issued, as reported in the press. 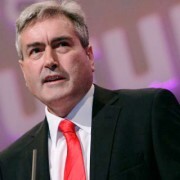 “None of this changed my mind that Abellio should have run out of chances by now, and the Scottish Government should have begun the process of removing the franchise from them with a view to bringing ScotRail into public ownership. There was, however, some more positive news from Mr Matheson on progress around the delivery of a new station in East Linton. The Transport Secretary confirmed that the project remains in the “Control period 6” infrastructure plan for the next five years, that design work for the station is underway, and a capacity study looking at services between England and S-E Scotland is considering what timetable would be possible. 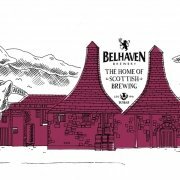 He also confirmed that the project has moved from the “Planning” department in Transport Scotland to the “Delivery” department. “Delivering the station and new services at East Linton is a vital local infrastructure project, and it is quite ridiculous that we have had to wait (and RAGES have had to campaign) for so long for this much needed station. “We cannot get back the many years of delay, but setting that aside it was good to make sure that (yet another) new Transport Minister is fully aware of how important this project is, and to hear from him that there are no new barriers to its delivery currently on the horizon. “Indeed, the suggestion that both the design work and capacity study should be complete by the summer, potentially making it possible to give a date for work on the station to begin, is a positive sign. A ground-breaking partnership between the Royal Blind School in Edinburgh and East Lothian Council has been welcomed by Iain Gray MSP for East Lothian as he visited the school to learn more about its success. Mr Gray met with pupils and teachers at the Royal Blind School to learn about the work of the East Lothian Vision Impairment Service (ELVIS) which delivers specialist education and support to pupils with vision impairment across the local authority. The partnership enables pupils to access learning through the use of braille, large print, specialist technology and adapted learning materials, such as tactile diagrams. Pupils are also given support in developing independence skills and social skills. ELVIS also assists pupils and staff at crucial times of transition. The partnership between the Royal Blind School and East Lothian Council began in 2017 and has been welcomed by pupils, parents and staff. “I was pleased to visit the Royal Blind School to find out more about its important work with young people with vision impairment. I was especially interested in its unique partnership with East Lothian Council. “East Lothian Vision Impairment Service (ELVIS) is a pioneering project delivering specialist education and support to pupils in East Lothian in a way not currently being undertaken anywhere else in Scotland. “We are delighted that our partnership with East Lothian Council has been such a success and that pupils with vision impairment are benefitting from this collaboration. Chris, aged 11, was one of the first pupils to be supported by the service. His deteriorating vision had left him worried about the future and struggling to keep up with his schoolwork. Now, in addition to one-to-one support provided in-school, he is supported four days per week by his ELVIS teachers, is learning braille, and has regained his confidence. “It’s difficult to express in words how grateful I am of this partnership between the Royal Blind School and East Lothian Council. The year before the partnership began, Chris’ sight had deteriorated quite quickly and he had no confidence whatsoever. We were all really struggling. His sight loss was impacting on absolutely everything. He was constantly worrying about the future. Iain Gray MSP is helping to celebrate the tenth anniversary of the Hibernian Community Foundation, which he Chairs, with the launch of a new funding appeal to support its work. Hibernian Football Club established the Foundation in 2008 as a registered Scottish charity to help improve the lives of disadvantaged people and communities across Edinburgh and the Lothians. Now in its tenth anniversary year, the Foundation is continuing to reach out and deliver programmes to those most in need, including various activity in communities throughout East Lothian. 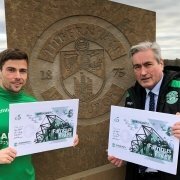 The ‘Famous Fiver’ appeal, which evokes a golden era in the club’s history, is encouraging Hibernian supporters to donate at least £5 to assist the Foundation’s programmes. “The Hibernian Community Foundation was established 10 years ago to harness the power of football to improve the lives of disadvantaged people and communities across Edinburgh and the Lothians. “I am very proud to have been the Chair of the Foundation since 2013 and help oversee the development of its innovative programmes. In order for the Foundation to continue and build on this very important and much-needed work, we need to raise additional funds, which is why we have launched this Famous Fiver appeal. 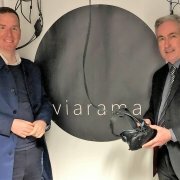 Iain Gray MSP has visited East Linton-based social enterprise Viarama, Scotland’s first virtual reality (VR) company and the world’s first social enterprise working in VR, to find out more about its work. Viarama founder Billy Agnew uses the cutting-edge VR technology as a force for good within communities across Scotland, with a strong focus on improving quality of life for people of all ages. He has been taking his equipment into schools, nursing homes, hospices, hospitals and respite centres with the aim of using it to help enhance learning, aid quality of life and help deliver training and employment in the process. 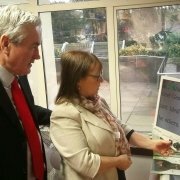 The social enterprise is located at the Mart in East Linton, where the public can visit and try out the powerful technology for themselves. “I enjoyed the opportunity to visit Viarama and find out more about the VR technology and how it can be used for the good of local communities and individuals. Billy gave me a demonstration of his state-of-the-art VR equipment which enabled me to experience being at the bottom of the ocean and at the peak of Mt Fuji in a matter of minutes! “It is a truly immersive experience and I can certainly see the potential benefits of using the technology with the audiences he is targeting. In fact, I know from a friend’s experience how powerful the service Viarama provides can be for those facing terminal illness. “I was very happy to welcome Iain to Viarama and let him try the world’s best virtual reality. Iain’s enthusiasm and support are very welcome indeed, and we will use this support to continue to use VR to benefit schoolchildren, senior citizens, and young people in the local area and beyond”. 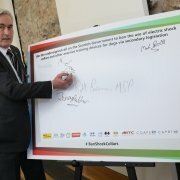 Scotland and the UK’s largest dog welfare organisations and positive trainers came together with MSPs this week to urge the Scottish Government to ban the use of electric shock collars and other aversive training devices. Iain Gray MSP attended a drop-in event at the Scottish Parliament to pledge his support to help encourage a ban on the use of these devices a year after the Scottish Government announced it would ban them, but instead only issued guidance on their use. Whilst the use of electronic shock collars is banned in Wales, and Westminster has confirmed it will introduce a ban on the use of these cruel devices in England, Scotland continues to avoid introducing a ban. “We are disappointed that despite previously committing to effectively ban the use of electronic and other aversive training devices, a year later the Scottish Government has only issued guidance about their use. This means that Scotland’s pets are not protected from the negative impacts of using these cruel devices. 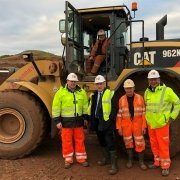 Iain Gray MSP has visited a local quarry which is approaching its fiftieth year of producing sand and gravel for the construction industry and individual consumers. Longyester Quarry has been in operation since 1970, and is now run by family business Tillicoultry Quarries, which owns a number of other quarries across Scotland. The relatively small site, located near Gifford, specialises in sand and gravel. It has seen significant investment since Tillicoultry bought it four years ago. “There are a surprisingly diverse range of small and medium sized businesses located in some of the more rural parts of our county. Longyester Quarry near Gifford is one such business, which I was pleased to visit for the first time. This site, producing sand and gravel, has been in operation for close to 50 years. “The quarry’s small workforce is mostly local, with vast experience of the industry. It was clear from the visit that the owners are eager to work harmoniously with their neighbours and the local community. This includes ongoing efforts to restore disused parts of the site to usable agricultural land. A group of P7 pupils from Aberlady Primary School have become the first schoolchildren from the county to visit the Scottish Parliament in 2019. Local MSP Iain Gray met with the pupils during the visit, which was organised via the Parliament’s Education Outreach service. He talked about his role as East Lothian’s MSP and answered some of their questions about the way Parliament works. “East Lothian schools have a great record for visiting the Scottish Parliament, with the majority now having attended at some point during my time as the local MSP. It was a pleasure to welcome this latest group from Aberlady, the first local pupils to visit this year, and answer some of their questions.